The City Law School has appointed David Amos as Director of Legal Practice. He will develop the Legal Practice Course (LPC) and the school's Continuing Professional Development programme. "The LPC has always been one the best courses in the country and has a strong client focus which prepares students well for practice. Although this is a period of great change in both the legal profession and legal education, the LPC at City has managed to move with the times and stay relevant to the needs of firms. This is also a strong feature of the CPD provision. The impressive list of clients that City has worked with reflects both the quality of the courses that City provides and its distinguished history." David qualified as a solicitor in 1993 practising mainly in the field of Civil Litigation. He began his career in legal education at Leeds Metropolitan University in 1998. 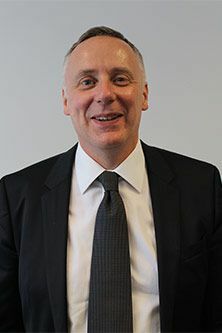 He was subsequently appointed the Programme Director for the LPC at Manchester Metropolitan University before becoming the Head of Vocational Legal Studies at the University of Westminster. During his time at the University of Westminster, David established the first Solicitors Exempting Degree in London. He also helped to design a new Part Time LPC courses at Leeds and Manchester in addition to a Postgraduate Certificate in Legal Practice Management. David has occupied a number of positions for the Solicitors Regulation Authority. He was a member of the working party which designed the Outcomes for the LPC. He is currently an SRA appointed external examiner and a member of the Authorisation and Validation panel for the LPC. "David's extensive experience as a legal educator, as well as his appointments with professional bodies, makes him a unique and valuable addition to our team. Legal education - as well as the market for legal services - is in a period of change and David is ideally placed to ensure that City responds effectively to the upcoming challenges". David's research interests concern the changing pattern of delivery of Legal Services with a particular focus on the interaction between Law and Technology. He has also contributed a chapter on the Legal Environment to the first three editions of Wetherly and Otter's The Business Environment: Themes and Issues.